Ford has introduced a sleep mode on new Fiesta and Focus key fobs to protect against keyless entry theft from hackers. 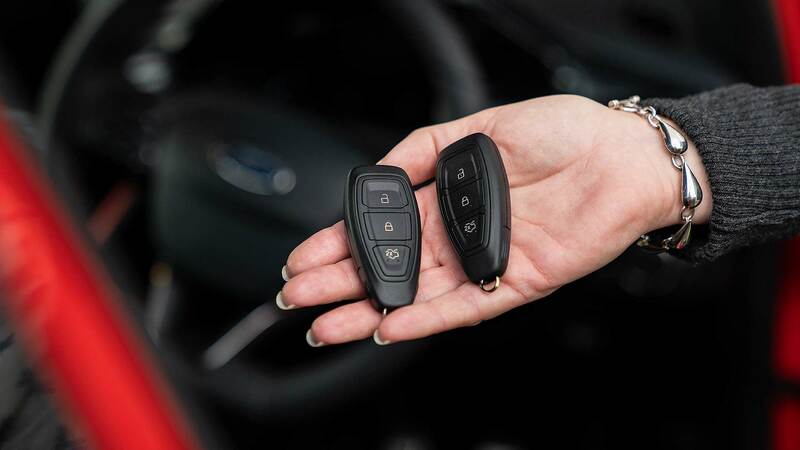 The new tech for Fords fitted with keyless entry uses a motion sensor within the key fob. The sleep mode is triggered if it hasn’t been moved for 40 seconds – so won’t respond to signals from hackers equipped with ‘relay boxes’ which can now easily be bought online. Criminals illegally use the relay boxes to extend the signal from key fobs in homes, unlocking and starting vehicles parked outside. Ford’s move is in response to owners of cars with keyless entry being targeted by thieves. The crime wave was highlighted last night on the BBC One Show, where Ford announced its keyless theft upgrade. The growing issue of keyless car theft was underlined recently by a new keyless entry theft test introduced by Thatcham Research. This caused a stir by slamming many best-selling cars with a ‘poor’ rating. The Porsche Macan has already been upgraded with a ‘superior’ score. New Fiesta and Fiesta Van are already being delivered with the new tech, says Ford. The Focus will follow from May 2019. Ford will introduce the keyless theft-proof fobs across its range within the next two years. Owners of nearly new latest-model Fiesta and Focus can also buy replacement key fobs equipped with the new sleep mode. They cost £65 on the Fiesta and £72 on the Focus, plus just under an hour’s labour at a main dealer to programme and test.